Have Fun at Your Party, Allow us to do the work! From small office lunches and backyard gatherings to large events we can customize a menu and pricing to fit your needs. We will drop off and set up a family style buffet table complete with chafing dishes, serving utensils, and disposable dinnerware. All you will need to do is invite the guests and enjoy our delicious food. Take a look at our menu and give us a call today! 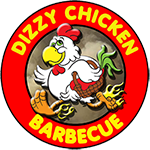 Dizzy Chicken Wood Fired Rotisserie is proud to serve Glens Falls, Queensbury, Saratoga, South Glens Falls, Hudson Falls and more with all your casual catering needs. You can contact us at [email protected] or our Saratoga location by phone 518-583-4099.